* Stains and Odor Removal is a critical step in our cleaning process. First what is a stain ? A stain is a result of dye or pigment that have been deposited within the carpet fiber and can no longer be removed after a long period of time. Stain can cause dye loss in the carpet do to its acid content. Stains and Odor removal is only attempted after overall cleaning. 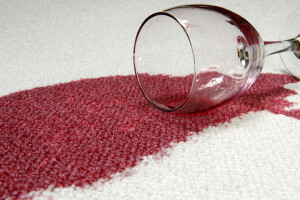 Some stains can permanently damage your carpet if not attending on the spot. Here are couple of stains such as: Kool-Aid, Wine, Chocolate, Coffee, Nail polish, Ink, Lipstick and pet urine. Some stains will permanently damage your carpet such as Mustard, Curry, Water plant hang in your room and some food concentrate with acid. We use specialize technique to remove dye stains, and we make sure to thoroughly rinse or extract the area to avoid re-soiling. 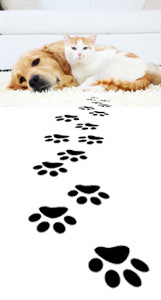 * Odors are any smell or gazes from your pet, or food that have been deposited into your carpet. 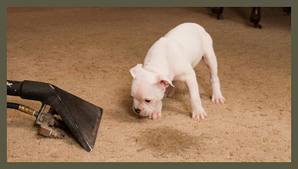 Some odors from your pet waste or toddler are so strong when left untreated. Odors range from anywhere from moderate to mild and strong. Remember your carpet is the biggest filter in your house, so therefore, any dust, dirt and moisture in the air is attracted to your carpet; which can be good or can be bad. Pet Urine stain and the odor it produces and other foreign gazes or odors that have been deposited into the carpet can be eliminated with our Green, Biodegradable Smelly Deodorizer. Our deodorizers neutralizes the odors from the carpet and gives a nice healthier atmosphere for not only for our toddlers, but also for our pets. We can either apply the deodorizer into our pre-spray or into the chemical jug, located in proximity to our track-mounted cleaning units.